A series presented by Qualcomm and Re:think exploring how the 5G network will help strengthen communities, forge new ones, and evolve shared experiences. Emerging technologies that depend on Qualcomm's innovations in connectivity are not only enabling users to do more than ever, but to grow closer than ever before. We’ve already caught glimpses of how augmented and virtual reality can alter the nature of gaming. With new advances in connectivity, there will be a new wave of socially oriented games. Many of the activities we do in person—watching sports, going to concerts—can be turned into immersive, interactive experiences that can be enjoyed from afar. At the heart of it? A stronger mobile network supporting more robust virtual reality technology. As tech companies transform vehicles into data centers on wheels, connected cars are poised to drive us into a safer, more efficient future—and Qualcomm’s leadership in 5G technology is helping make it possible. As our global population continues to grow, we’ll need to produce much more food on the same amount of land. A new mobile network could be key to making farming more efficient. 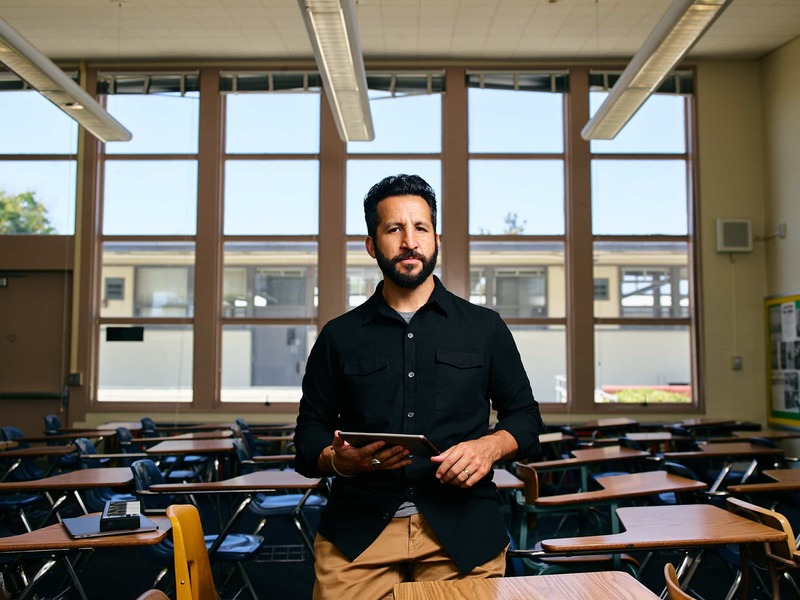 Classrooms and schools across the country are more multilingual and diverse than ever before. How can technology help connect people who can’t otherwise communicate? 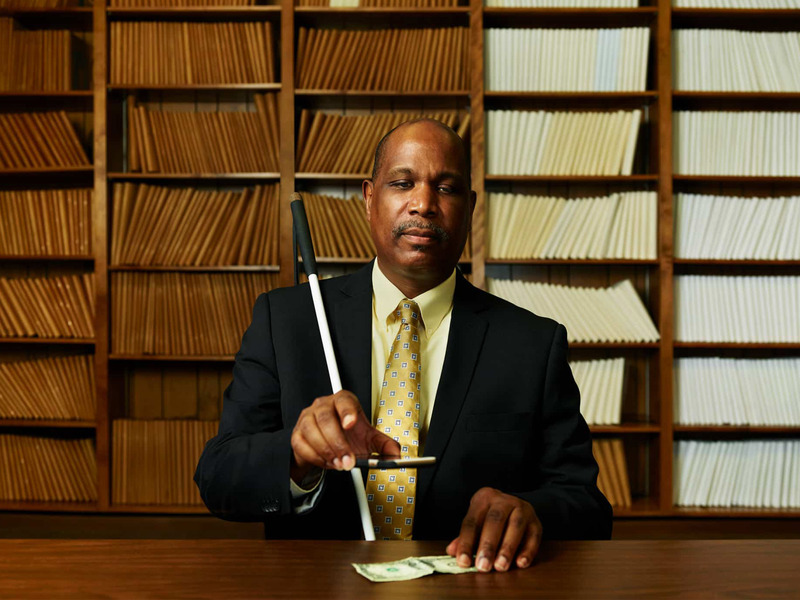 A growing number of innovations designed to be accessible to the blind and visually impaired enable new connections. Anew level of speed and capacity—specifically on wireless devices—will be enabled by the 5G network. And gaming developers are poised to take advantage of it. They’ve flocked to XR in part because the potential of a fully interactive, connected, and lightning-fast gaming system is essentially limitless. If standalone AR devices become more widespread, more and more games will get players to take to the outdoors instead of their dens. Massive multiplayer games could mean that players fully embody their avatar, able to play with everyone they come across in the real world, no matter where they are. 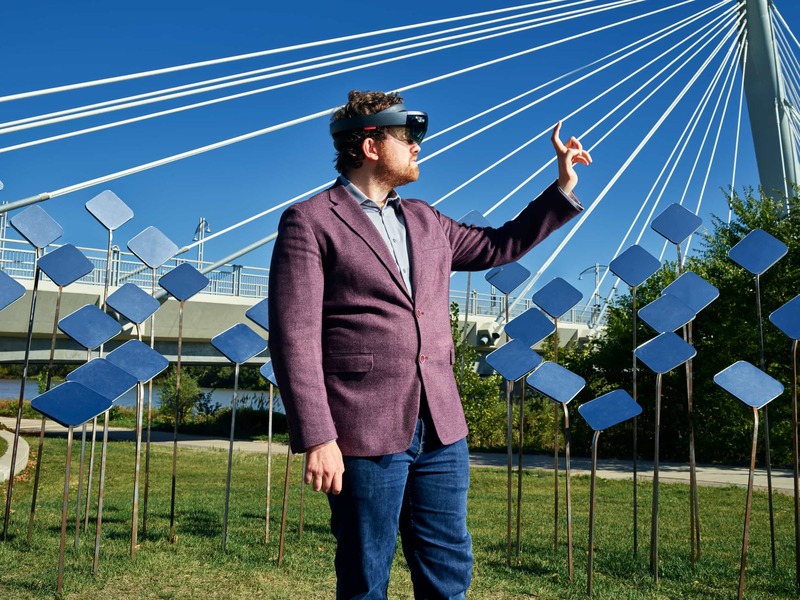 Corey king fell in love with augmented reality before he even knew it existed. It was 2009, and he’d received his first iPod touch. He spent the afternoon playing with the device, toying around with the GPS and music and Wi-Fi connection, before taking it outside and realizing that the technology, while nascent, could conceivably turn his entire backyard into an interactive video game. It was a realization that would change his life. 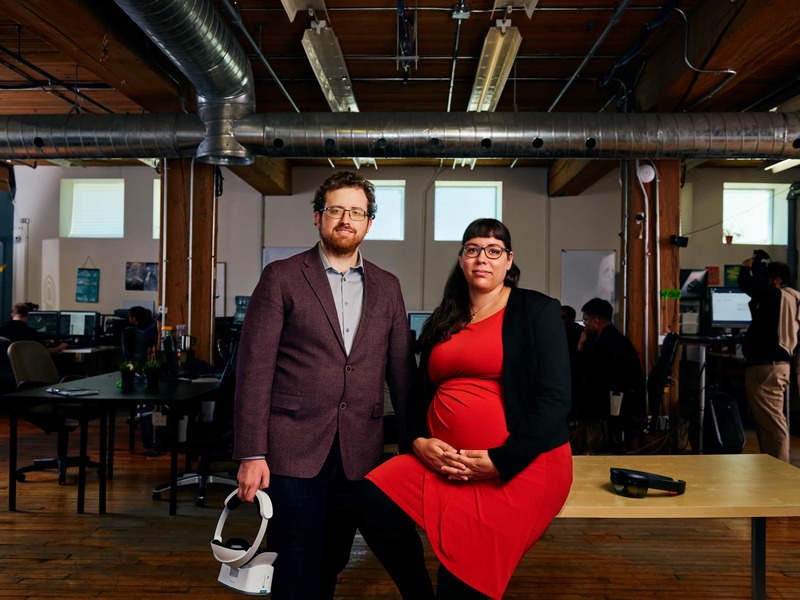 Today King is the cofounder of storytelling studio ZenFri, the creators of a science fiction augmented reality (AR) game called Clandestine: Anomaly that uses a device’s GPS location to help players defend their real-life neighborhood from a real-time virtual alien invasion. Though the game, released in 2015, is basically what King envisioned when he held that iPod touch in 2009, its creation was only possible because of advances in the technology that were inconceivable when King first started. King has been in the field for almost a decade and still doesn’t know what technology is coming or how it will impact the creations of ZenFri and other studios. However, most AR studios agree that connection to a faster network—5G, the next iteration of the mobile network that Qualcomm, which creates intelligent communications systems, has spent decades researching and developing—will be the key to a more mainstream, community-oriented world of gaming in extended reality (XR), an umbrella term that includes virtual reality (VR), augmented reality (AR) and mixed reality (MR). Any XR experience is not only going to produce huge amounts of data but also demand that all that data be transferred quickly and reliably in order for the experience to feel natural. The 5G network will enable a new level of speed and capacity, specifically on wireless devices. And gaming developers are poised to take advantage of it. Video games have been one of the central areas of interest in the embryonic world of XR. The technology exploded into mainstream culture with the 2016 release of Pokemon Go: The game is one of the most downloaded smartphone apps in history and, according to analytics firm SuperData, is still played by almost 150 million people worldwide. Game developers have flocked to XR in part because the potential of a fully interactive, connected, and lightning-fast gaming system is essentially limitless. If stand-alone AR devices like the ones Qualcomm Technologies is working on with Google become more widespread, more and more games will get players to take to the outdoors instead of their dens. Massive multiplayer games could mean that players fully embody their avatar, able to play with everyone they come across in the real world, no matter where they are. Once a faster network and other XR resources are commonplace, the opportunities for smaller, individual communities to form can grow significantly. Hundreds of millions of people could play the next big game, but also 20,000 worldwide paleontologists could use a daily fossil education simulation. The present day is intriguing, of course, but it’s the future proliferation of new communities and new kinds of play that the industry finds most exciting. After bringing the 3G and 4G networks to mobile devices worldwide, Qualcomm is now inventing the technologies and creating the products that are designed to enable a rollout of the 5G network, including the Qualcomm® Snapdragon™ X50 5G modem, which is specifically designed to support lightning-fast data speeds and the massive amounts of data created by XR (AR/VR) experiences. XR experiences rely on massive amounts of data and virtually no latency (delays in data transfer) to be truly immersive. 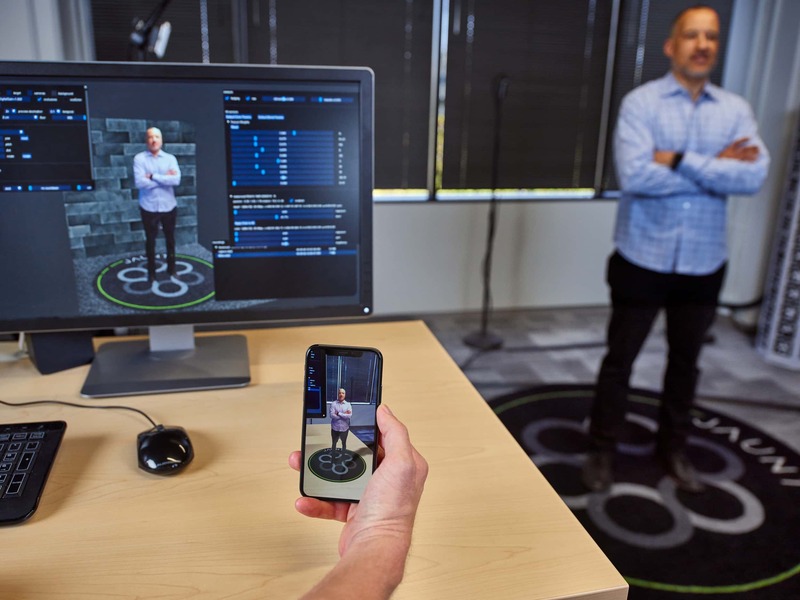 Qualcomm Technologies’ research and development of specialized processors—such as the Qualcomm® Snapdragon™ 821 and Qualcomm® Snapdragon™ 820E Mobile Platforms—and holistic ecosystems are tailored to the production of effective, realistic XR. Qualcomm® Adreno™ Graphics Processing Unit (GPU) is embedded in the Snapdragon 800 series platform and is designed to deliver ultra-high-quality graphics and user experiences without draining devices’ power. It also enables the rendering of those graphics in 3D and XR experiences. To learn more about Qualcomm’s foundational technologies in XR, click here. Qualcomm Snapdragon and Qualcomm Adreno are products of Qualcomm Technologies, Inc. and/or its subsidiaries. Few things evolve as quickly and with such heft as media—from radio to films to TV to internet to mobile streaming. Immersion, powered by a robust 5G network, really is just the next stage of entertainment. And considering the immersive experiences that will be available to those who can’t be there live, the future of entertainment is making sure people can still see virtually every detail and every moment, whether they’re at home or gathered in an arena. Miles perkins loves watching basketball games with his family—even when they’re not in the same room. Perkins, vice president of marketing communications for Jaunt, a California-based company that produces and distributes immersive content, may watch a game on TV with his wife and then have a whole conversation about it with his 15-year-old son, who only watched part of it on his phone. And as the incredibly fast and capable 5G network—pioneered in part by Qualcomm, a creator of intelligent communications systems—increases the viability of virtual reality (VR), augmented reality (AR), and mixed reality (MR) experiences, the level of real immersion in sports, music, or art likely will go hand in hand with the ability to share those moments with others. Qualcomm’s work in helping to enable 5G—and the intertwinement of the new network and XR (AR/VR) technologies—is key. “The faster speeds, especially the reduced delay that 5G has versus 4G, lends itself very much to kicking XR into the next level in terms of quality, responsiveness, and how immersive it is,” says Roberts. So even if Perkins and his son were to watch a basketball game in different rooms or even in different cities, they still could end up virtually sitting next to each other, so to speak. And one of them could hit pause and high-five the point guard. It’s something Perkins has given serious thought to—both as a sports fan and as an expert in immersive experiences. “Let’s say I’m watching on my mobile device, and all of a sudden the point guard completely jukes somebody out of their drawers, and I say, ‘Hey, I want to see that again.’ So I pause, rewind, and see exactly what happened—and take my phone, slip it into a headset, and now I’m sitting courtside,” Perkins says. In other words, people will still want to go to the Louvre, or the Taj Mahal, or a concert in person. In the future, XR could just add a new layer of information and depth to the experience: For example, you could look at the Mona Lisa with an XR headset and see information about its history and production unfold beside it. And since immersive experiences will be available to those who can’t be there live, the future of entertainment is making sure people can still see virtually every detail and every moment, whether they’re at home or gathered in an arena. After bringing the 3G and 4G networks to mobile devices worldwide, Qualcomm is now inventing technologies and creating the products designed to enable a rollout of the 5G network, including the Qualcomm® Snapdragon™ X50 5G Modem, which is specifically designed to support lightning-fast data speeds and the massive amounts of data created by XR (AR/VR) experiences. XR experiences rely on massive amounts of data and virtually no latency (delays in data transfer) to be truly immersive. Qualcomm’s research and development of specialized processors—such as the Qualcomm® Snapdragon™ 821 and Qualcomm® Snapdragon™ 820E Mobile Platforms—and holistic ecosystems are tailored to the production of effective, realistic XR. Qualcomm® TruPalette™ Display and Qualcomm® Low-Power Picture Enhancement features are designed for superior pixel quality in immersive experiences, without unnecessarily draining mobile devices of power or causing delays in data transfer. To learn more about how Qualcomm envisions entertainment, click here. Qualcomm Snapdragon, Qualcomm TruPalette, and Qualcomm Low Power Picture Enhancement are product of Qualcomm Technologies, Inc. and/or its subsidiaries. Earlier this year, a colleague of philip ventimiglia’s was passing through an intersection on his motorcycle, when a large truck ran a red light, crashing into the bike and its rider. The truck driver, apparently, had been blinded by the sun, and couldn’t see the color of the traffic signal. Though the rider has recovered from the crash, he suffered intense injuries—and it is exactly these sorts of accidents, Ventimiglia knows, that could soon be preventable altogether. When people think about the future of transportation, they might picture self-driving vehicles, zipping around Jetsons-style. After all, the conversation around smart cars is often dominated by autonomous vehicles. And yet, the actual connectivity—between cars, cars and people, and cars and everything else—may play an even bigger role in the evolution of transportation, and by extension, the evolution of safety. Of course, that connectivity must be fast, reliable, and high-capacity: That’s where 5G comes in. Qualcomm—a pioneer in developing foundational mobile technologies for over 30 years—is gearing up to make 5G available on mobile devices as soon as 2019. With the advent of 5G technology, however, which represents the latest version of mobile technology and is designed to exponentially increase responsiveness and speed, the connected car (and in turn, the autonomous car) may finally be road-ready. “5G will be the fabric of smarter transportation and city infrastructure by connecting your car to almost everything around it and the cloud,” says Maged Zaki, a director of technical marketing at Qualcomm Technologies, Inc.
It’s taken some time to get here. With 3G and 4G, the automotive world was introduced to things like roadside assistance, location technologies, cellular connectivity, and infotainment. These evolvements enabled services like OnStar, and later helped give birth to ride-sharing companies, like Lyft and Uber, and community-based traffic and direction apps, like Waze. Qualcomm believes that 5G can kick connectivity into high gear, unlocking the full capabilities of wireless connectivity by connecting cars to their environment with Cellular Vehicle-to-Everything (C-V2X) direct communications without relying on network coverage. “5G will not only bring in more bandwidth, reliability and improved latency to cloud-based network communications, but it will also connect cars to almost everything around them with C-V2X technology, allowing for safer driving today and autonomous driving in the future,” says Zaki. 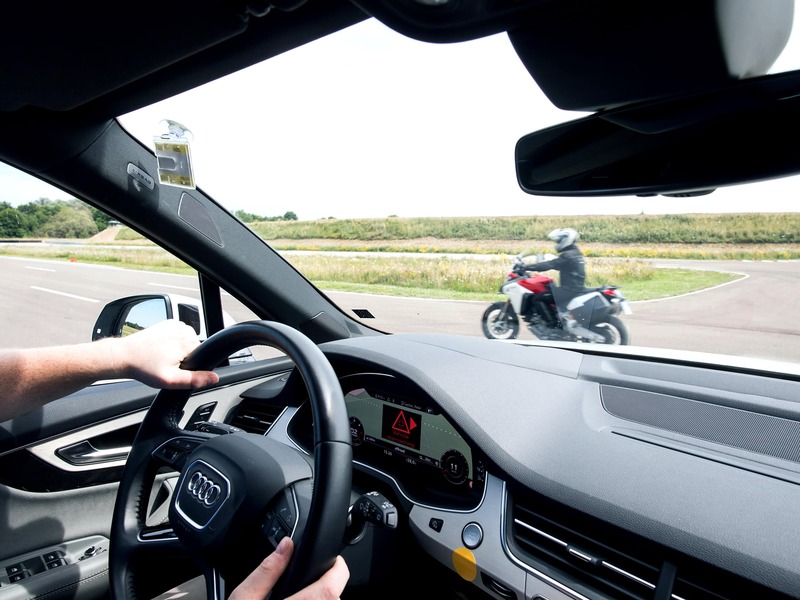 Engineers agree 5G’s real-time communication will benefit—and even revolutionize—road safety, which depends on early warning signals to prevent accidents. Bosch, for example, has developed a system that alerts drivers when another car may be traveling in the wrong direction. 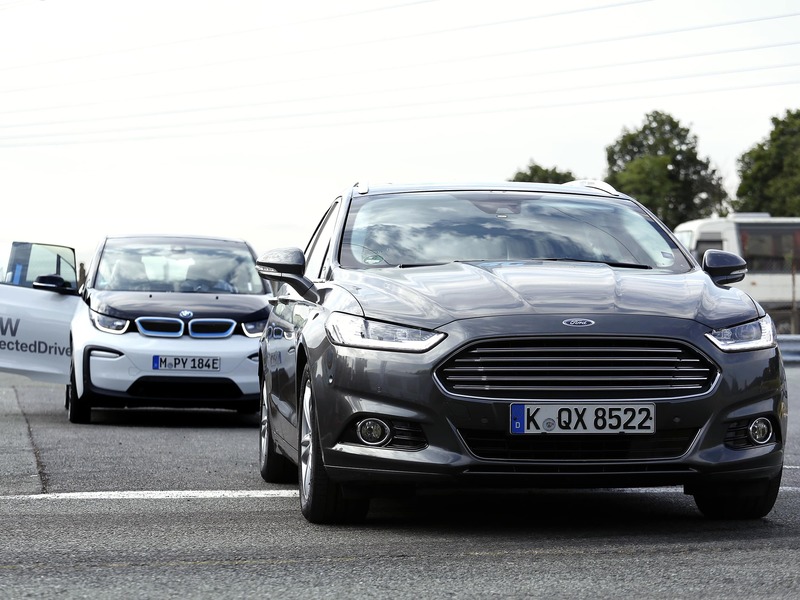 Earlier this year, Qualcomm Technologies, Ford, and Audi demonstrated the reliability of C-V2X technology, even between vehicles from different manufacturers.—5G could herald a new era of vehicle responsiveness, designed to give vehicles human-like reflexes. For cities, it could have even wider implications in supporting the technologies that could redesign the way vehicles and people can interact with their environments. After all, public transportation and emergent technologies have always shaped the American landscape and its infrastructure, from the first transcontinental railroad in 1869 to the rise of modern-day ridesharing. “I think you’re going to see that, as technology rises in vehicles, it will also rise in infrastructure, to create these smart cities,” Ventimiglia says. This year, his team saw the implications of vehicle-to-everything technology firsthand, when they installed a smart camera at an intersection in Detroit. The camera could detect pedestrians in the crosswalk and broadcast that information to oncoming vehicles. Qualcomm is inventing the technologies that will help enable a rollout of the 5G network, including C-V2X technology that will complement other vehicle sensor technologies and extend a vehicle's ability to “see” further down the road, providing a higher level of predictability for enhanced safety and autonomous driving. The release of the Qualcomm® 9150 C-V2X1 chipset meets automaker production demands for road safety using C-V2X solutions and is anticipated to help accelerate the adoption and deployment of C-V2X technologies across the board. The evolution to 5G NR-based C-V2X will augment driver’s path planning, coordinated driving, and real-time local updates on 3D HD maps without relying on network coverage. To learn more about how Qualcomm is contributing to communities everywhere, read about their work with connected cars here. 1 Qualcomm 9150 C-V2X is a product of Qualcomm Technologies, Inc. and/or its subsidiaries. Fresh water and fertile soil are limited resources. Ongoing climate change could constrain the supply of both. Urbanization means fewer people are entering the farming industry. Add it up, and farmers will need to produce more food at a faster speed with the same resources, increasing their crop production and livestock yields on existing agricultural land. 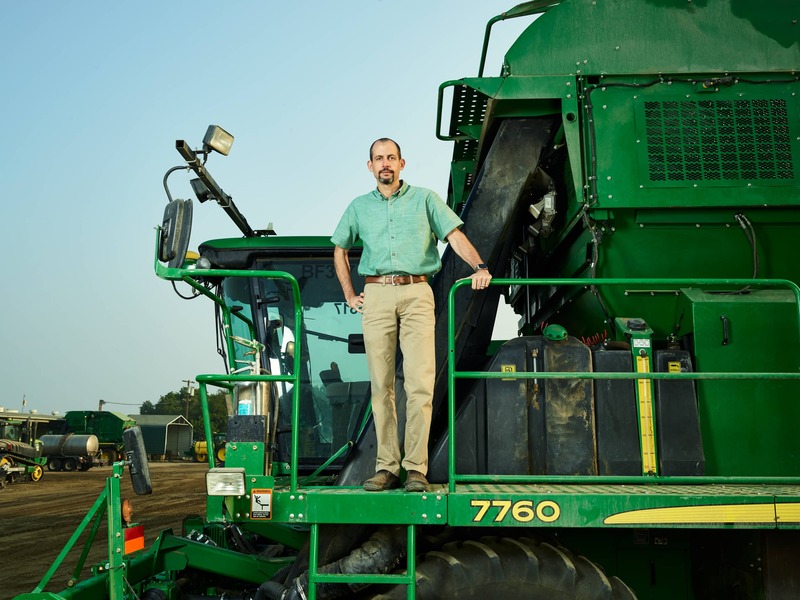 Technology—from smart drones to connected combines—could be the answer to faster, better farming. The world is about to need more food. A lot more. By 2050, the UN estimates, a global population of 9.6 billion people will require 70 percent more calories than are currently consumed. And as farmers work to boost production, the most important new tool won’t be bigger tractors or better pesticides. It will be faster, more reliable wireless technology. Fresh water and fertile soil are limited resources. Ongoing climate change could constrain the supply of both. Urbanization means fewer people are entering the farming industry. Together, those factors mean a smaller population of farmers will need to produce more food at a faster speed with the same resources, increasing their crop production and livestock yields on existing agricultural land. That’s where mobile technology can make a significant difference—specifically, precision farming, which uses connected sensors and smart equipment to better manage farms on a minute-to-minute basis: drones deployed to monitor parasites and diseases as well as equipment outfitted with cameras and software that allow farmers to make optimal harvesting decisions without their ongoing, time-consuming tinkering and monitoring. For precision farming to reach its full potential, however, rural areas will need to pair next-generation equipment with connectivity capabilities that are up to the task. Enter 5G, the next generation of the mobile network. Enabled in large part by Qualcomm—which has spent years researching and designing the underlying technology by which wireless networks and mobile devices will communicate—5G will be able to move more data at faster speeds with greater reliability than currently possible, impacting everything from streaming video to virtual reality and the Internet of Things (IoT). “The implications are nearly endless,” says Rasmus Hellberg, senior director of technical marketing at Qualcomm Technologies Inc.
How? Hellberg explains that the 5G network was engineered to support tens or hundreds of thousands of connected devices—in the space of a single city block. On farms, that should be a game changer. Some of AGCO’s smart combines currently have 50 to 60 sensors sending data to a farmer’s office, cloud service, or a combination of the two—one of the reasons American farmers already are generating an estimated one kilobyte of data per year for every seed they plant. The 5G network will be able to carry that and more. 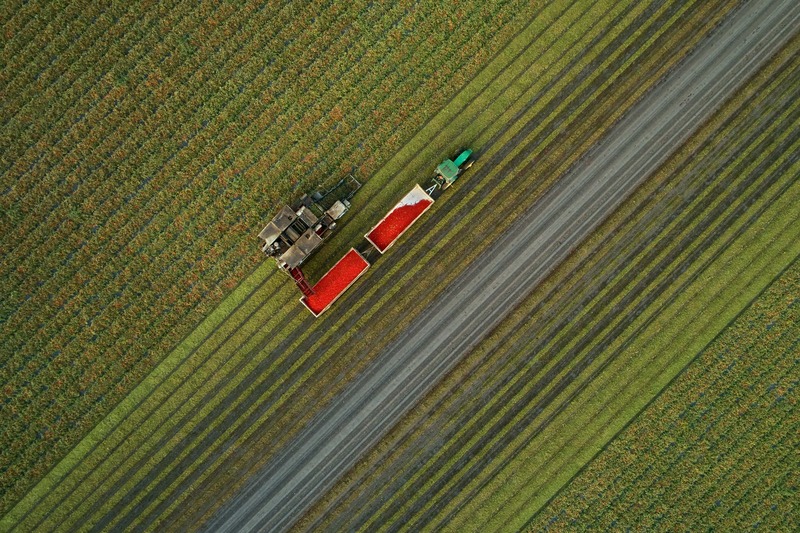 In addition to higher capacity for a massive number of IoT devices, 5G promises a much more robust environment; the interconnected tractors and drones and sensors could transform tomorrow’s farms. According to Hellberg, Qualcomm designed 5G from the ground up to accommodate IoT devices. “What that means is a wireless network could have enough room to connect a vast amount of IoT devices,” he says. And the networking components in those devices could be simpler and cheaper, too. “We actually have the possibility of embedding a sensor in a field somewhere with a battery that could last 10 years,” Hellberg says. After bringing the 3G and 4G networks to mobile devices worldwide, Qualcomm is now inventing the technologies and creating the products that will enable a rollout of the 5G network, including the Qualcomm ® Snapdragon™ X50 5G modem, which is specifically designed to support lightning-fast data speeds by operating in previously untapped airwaves—even in rural areas. Embedded platforms, like the Snapdragon 600E, are designed to consume low amounts of power and last for years while still delivering high computing power and reliability. This is crucial to bringing more devices online and supporting an Internet of Things that can communicate vital agricultural information. Qualcomm Flight™ Platform harnesses the power of the Snapdragon 801 processor to enable drone technologies that provide real-time agricultural information and updates to a central hub through aerial imagery and more. This allows farmers to make more informed, responsible decisions about actions to take to maintain arable land and crop fields. Qualcomm Snapdragon and Qualcomm Flight are products of Qualcomm Technologies Inc. and/or its subsidiaries. In a rapidly globalizing and diversifying world, more and more students in America and around the world use more than one language to navigate education. With the help of instantaneous translation technology, that navigation can be seamless no matter what languages are being spoken in the classroom–and a better wireless network, 5G, is enabling this breaking down of language barriers. Almost one in four students in American classrooms speak a language other than English at home—and research predicts that by 2030, 40 percent of Americans won’t speak English in their household. With studies showing clear correlations between academic performance and the use of a student’s native language in the classroom, it’s never been more important to accommodate bi- and multilingual students, both in the United States and across the rest of the globalizing world. Technology could play a crucial role in making education easier to navigate. At the heart of that technology? A better, stronger, wireless internet with faster speeds and the capacity to connect large numbers of devices: the 5G network, enabled by Qualcomm, a mobile technologies inventor. Paired with artificial intelligence (AI) technology, 5G could deliver high-quality, nearly simultaneous translations on your mobile devices. Qualcomm also has more than a decade-long history of researching and developing fundamental technologies that enable a broad spectrum of AI-use cases, including the virtually seamless relationship between AI and translation, particularly on mobile and portable devices that can’t rely on Wi-Fi. From a software perspective, the translation-friendly future Farrokhnia envisions has already arrived in the form of voice-recognition technology that uses AI to translate text to speech on a smartphone. For example, Skype Translator can translate 10 languages in real-time video chats and 60 in instant messaging. Google Translate, meanwhile, leans on a smartphone’s camera capabilities to translate the written word and can also translate what’s spoken into a smartphone’s microphone. But if we are to incorporate advances like these into educational environments, there’s one important consideration: the quality of connectivity. That’s why the 5G network could be the backbone of these technologies. None of them would be as effective without a ubiquitous, high-speed, low latency, high-capacity wireless internet connection, and Qualcomm has led the way for foundational 5G technologies that could serve a whole array of new use cases, including ultra-low latency that could make real-time translation seamless. Orlando Cardozo would agree. He’s been many things—private tutor for Michael Bloomberg and translator for the Netflix show Narcos among them—and now works as a Spanish teacher in New York City. Growing up in Colombia, he taught himself English mostly by reading newspapers and listening to the radio, but he’s excited by the possibilities he sees for technology to make cross-lingual collaboration turnkey. After bringing the 3G and 4G networks to mobile devices worldwide, Qualcomm is now inventing the technologies that will enable a rollout of the 5G network, including the Qualcomm® Snapdragon™ X50 5G modem, from Qualcomm Technologies, Inc., which is specifically designed to support lightning-fast broadband speeds and operation in previously untapped wavebands. Qualcomm Technologies is a leader in on-device AI, capitalizing on the ubiquity and capabilities of smartphones to make offline, personalized AI a mainstream reality. 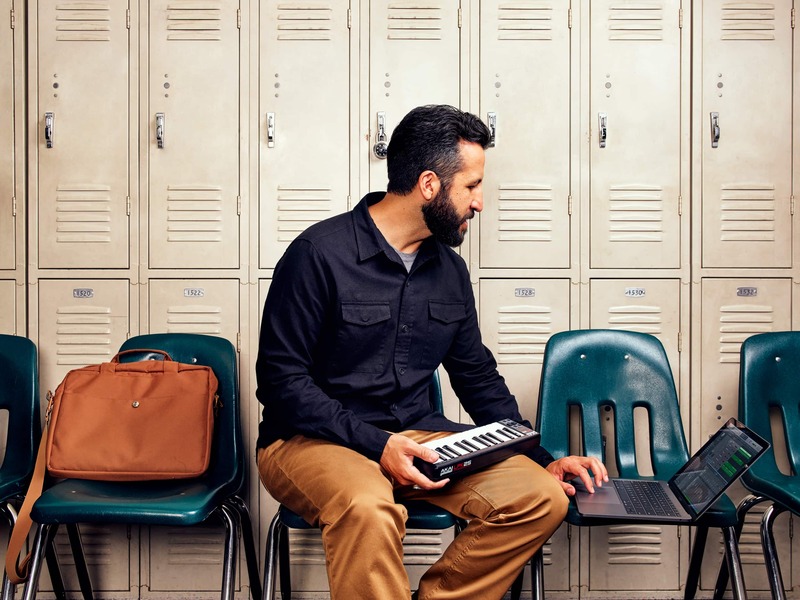 Customizable to individual preferences and usage, processors like the Snapdragon 845 mobile platform have the potential to serve as personal tutors for students inside the classroom and out. The new 5G network is set to turbocharge mobile connection and data transfer speeds, as well as enable the Internet of Things, AI development, and VR experiences. For the blind community, a better, faster mobile network could also be vital to new forms of independence. Whether it’s in the form of AI-powered object-recognition applications, mobile connections to volunteer guides who can help people navigate, augmented reality, or text-to-speech software, these crucial technologies help the blind and visually-impaired move independently—and change people’s perceptions about everyone’s capabilities. 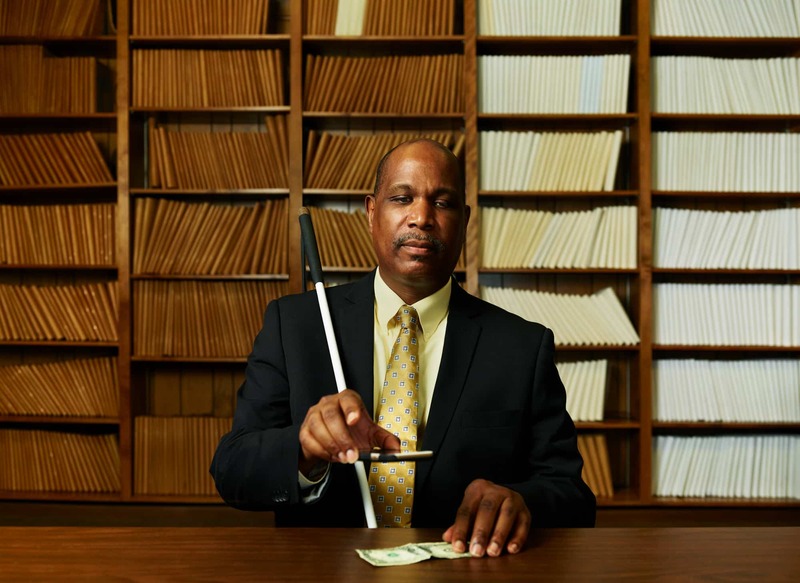 When one hopeful student in Michigan who happened to be blind first stepped onto his college campus, he worried that his blindness wouldn’t allow for a full, autonomous experience—that someone would always take his arm to guide him, no matter how badly he wanted to be independent. 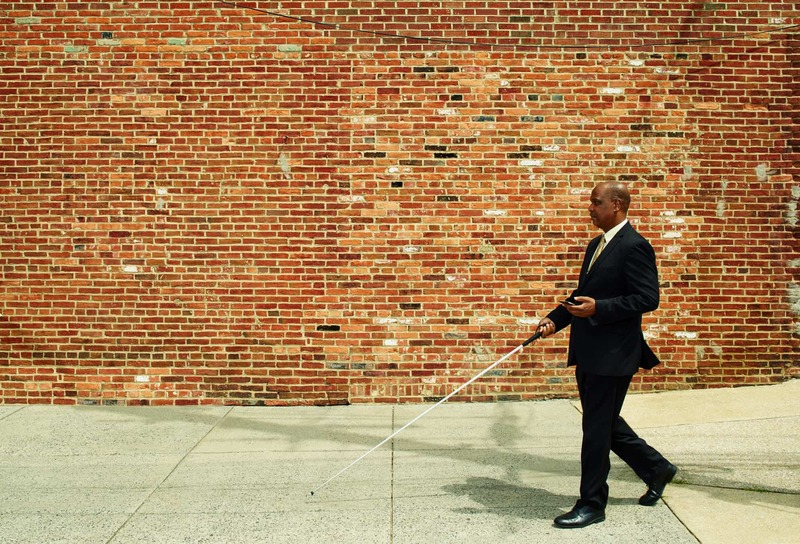 So he turned to an app called Be My Eyes, which connects blind and low-vision people with volunteers around the globe who describe their surroundings via video call while directing them toward their destination or otherwise helping them navigate. 5G means more than just another network. It will turbocharge mobile connection and data transfer speeds, sure, but it’s also engineered to support unprecedented numbers of connected devices in the Internet of Things and to achieve unprecedented internet speeds to enable new VR and AR experiences. Sherif Hanna, a director of product marketing at Qualcomm Technologies, Inc., says the potential use cases for 5G are practically endless. As a leader in the development of mobile networks as far back as 2G, Qualcomm has spent years researching, developing, and standardizing the technology behind 5G, and has already proven the capabilities of 5G modems, or chips, in smartphones. Results have been so promising that Qualcomm expects 5G devices to be available as early as the first half of 2019. Take Aipoly, a free smartphone app that uses artificial intelligence and machine learning to identify objects in the phone’s camera view—all without another human on the line. Its algorithm is trained every time it’s used and can be corrected by users when it’s wrong. Wearable technology also has the potential to provide the blind with reliable yet unobtrusive assistance: The Sunu Band uses a combination of sonar technology and GPS to warn its wearer before bumping into something, and the Dot watch is designed to give the blind a sense of independent control over the time in their day, while also featuring a braille interface that can connect to the internet. The demand for better, more intuitive, and turnkey technologies that can communicate information in blind-accessible ways will only continue to grow—research predicts that global blindness will triple by 2050. But this demand can be met. As innovative technologies proliferate, they’ll help spur inventive thinking and provide new ways for people with disabilities to enjoy more convenient, connected, and independent lives. After bringing the 3G and 4G networks to mobile devices worldwide, Qualcomm is now inventing the technologies and creating the products that will enable a rollout of the 5G network, including the Qualcomm ® Snapdragon™ X50 5G modem, which is specifically designed to support lightning-fast broadband speeds by operating in previously untapped airwaves. Qualcomm is a leader in on-device artificial intelligence, capitalizing on the ubiquity and capabilities of smartphones to make offline, personalized AI a mainstream reality. Customizable to individual preferences and usage, processors like the Snapdragon 845 mobile platform have the potential to extend the way members of the blind community interact with the world around them. Virtual and augmented reality experiences rely on massive amounts of data and virtually no latency (delays in data transfer) to be truly immersive. 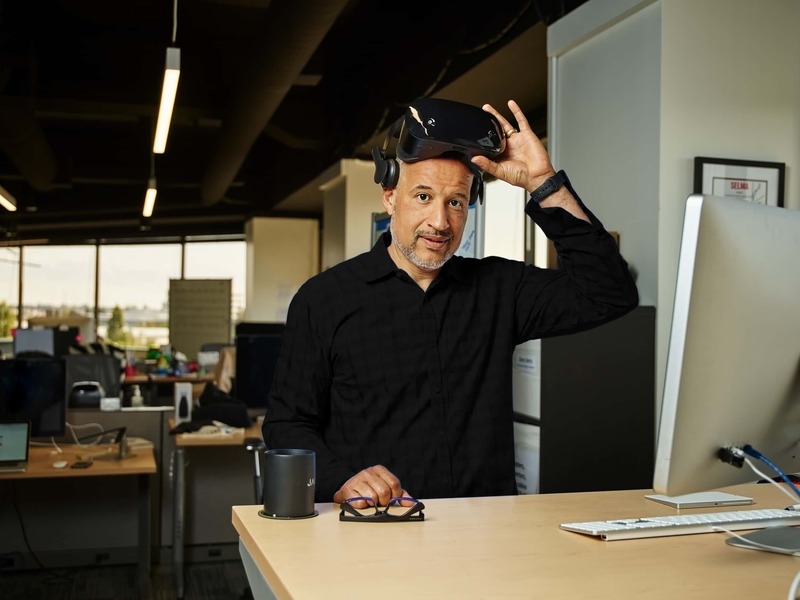 Qualcomm’s research and development of specialized processors, such as the Snapdragon 821 and 820E Mobile Platforms, and holistic ecosystems are tailored to the production of effective, realistic VR and AR. Our processors, like the Snapdragon 410E embedded platform, are trusted by manufacturers of wearable technology ranging from smartwatches to fitness trackers to smart eyewear. Whether the products feature speech-to-text capabilities or private floating screens, they have the potential to help the blind and visually impaired interact with the world in a host of new ways.